While it may not be one of your favorite features in the dental office, the dental drill is nevertheless necessary for treating problem teeth. It’s used primarily for removing decayed or damaged structure and preparing a tooth for fillings or other restorations. Dental drills have been used for decades and are quite effective — but they have their drawbacks. Their rotating burrs often remove portions of healthy tooth structure along with decayed material. Friction from the drill action can cause discomfort, so local anesthesia is usually needed. Drills can also emit a high-pitched machine noise that’s unsettling to many patients. There’s a growing alternative to the drill, known as air abrasion. Although the technology has been around since the 1950s, the development of new suction pumps that capture the resulting dust from its use has made it more palatable as an option to the traditional drill. Also known as particle abrasion, the technique uses a pressurized stream of fine particles (usually aluminum oxide, an abrasive powder) directed at teeth to wear away (abrade) the tooth’s structural surface. We can be quite precise in the amount of surface material removed, so it’s useful for diminishing stains or roughing the surface for bonding materials like composite resin. We’re also able to remove decayed material with very little impact on surrounding healthy structure, and you may not need anesthesia during the procedure. While this quiet alternative to the noisier drill is quite versatile, it does have its limitations. It’s not that efficient for preparing larger cavities for restoration or for removing older amalgam fillings. The teeth to be treated must be carefully isolated to prevent the fine particle dust produced from being swallowed by the patient or spread into the air. High-volume suction equipment is a must or the procedure will create a “sandstorm” of particles in the room. Still, for situations suited to it and with proper isolation measures, air abrasion can be effective and comfortable. If the technology continues to improve, the dental drill may soon become a relic of the past. Are you tired of those stained, chipped, slightly crooked or—in a word—unattractive teeth? We have an effective solution for you: cover them with life-like porcelain veneers. As the name implies, a veneer is a thin layer of dental porcelain custom-made to match your tooth’s shape and color and permanently bonded to the outside enamel. With its translucent, light-reflective quality similar to tooth enamel, dental porcelain looks completely natural. 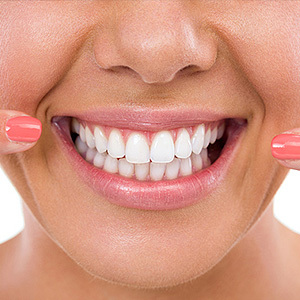 Veneers are well suited for minor to moderate imperfections, and can even be used to correct slight gaps between teeth. We begin the process by performing a comprehensive dental exam to begin planning the exact shape and color of your new veneers. We can now do much of this planning with computer imaging, which may also give you the chance to see how your veneers will look on you after treatment. We often will also need to prepare the teeth to accommodate the veneers when we bond them. Although the alterations shouldn’t be anywhere near as extensive as with a porcelain crown, we will still often need to remove some of the enamel layer so the veneer won’t look bulky. Even though we’ll remove as little as possible, if needed it will still permanently alter your teeth—so they’ll require some form of restoration from then on. Once we’ve prepared the teeth, it’s then time to create the veneers. This is typically done by a dental laboratory technician through a manual process that may take several weeks. Increasingly, though, equipped dental offices are now able to generate their veneers in-house with computer-aided design/computer-aided manufacture (CAD/CAM) milling technology. Once the veneers are ready, they’re bonded securely to the teeth with a detailed process that helps ensure they’ll endure biting and chewing forces for a long time. Still, you’ll need to avoid biting into hard objects or using your teeth for such things as cracking nuts. If you have a clenching or grinding habit, we may also recommend you wear a night guard to prevent excessive forces against not just your veneers but your teeth as well. 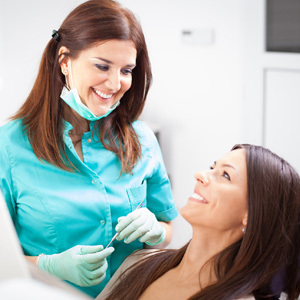 By taking good care of them, your new veneers can give you many years of service. Most of all, they can transform your embarrassing appearance into a smile you’re proud to show. How a Root Canal Helps Relieve Pain?